Talks will take place over expanding the Metro, the Government has confirmed. Transport secretary Patrick McLoughlin has said he would welcome talks over the next era of the Tyne and Wear Metro system. 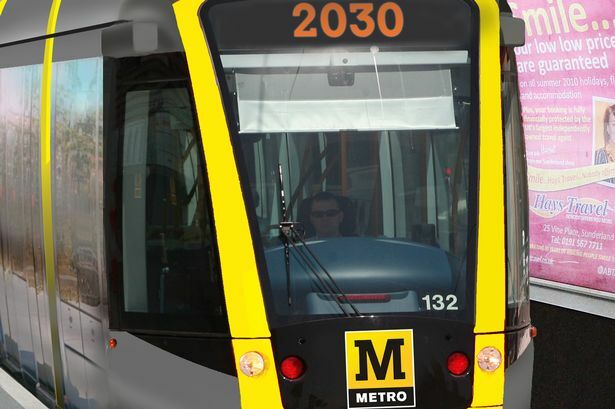 Metro owners Nexus are working up plans for new trains worth some £300m as they look to see whether new Metros or trams could open up services to the Cobalt business park, Newcastle’s West End, Washington, the Metrocentre and the Team Valley. Washington MP Sharon Hodgson has been leading the cash push in parliament, raising the issue with the transport secretary this week. The Labour MP said: “The Secretary of State will be aware that the rolling stock on Tyne and Wear Metro is undergoing refurbishment, but that is little consolation to the residents of Washington who do not even have a station. The North East Local Enterprise Partnership has already included the case for Metro expansion on its strategic plan handed in to Government earlier this month, though the project is more of a commitment to supporting the scheme rather than a cash bid. Metro bosses say the current trains, even with the latest renewals, have around 10 years left of regular day-to-day service before the cost of keep them going would outweigh the benefits. With the next Metro extension likely to include plans to stretch out across the city, high tech street trams are also needed for on-street services. Expansion on to existing railways across the region will need new trains as the current fleet cannot have carriages added on to them and the extra routes would ruin frequency targets without new stock coming in. Nexus is to go out to consultation on proposed new routes.